Traditional television viewership is on the decline, and fewer people are actually going to the movies. Meanwhile, streaming video services like Netflix, Amazon’s Instant Video, and Hulu keep adding subscribers and original programming. It’s getting harder and harder to deny that digital content providers are dramatically altering the entertainment industry. So, how did they do it—and what will be required for traditional networks and studios to stay in the game? Michael Smith and Rahul Telang—two professors at Carnegie Mellon University’s Heinz College of Public Policy and Management—explore these questions in their new book, Streaming, Sharing, Stealing: Big Data and the Future of Entertainment, published by MIT Press last month. In an interview with Fortune, Smith discussed the new book, Netflix’s hit, House of Cards, and the future of entertainment. The following conversation has been edited and condensed for clarity. Fortune: Your book describes the success of Netflix’s House of Cards as a turning point for the entertainment industry and digital content. Why was that such a big deal? Smith: The making of House of Cards illustrates how a bunch of different changes coming together at the same time can be really disruptive to the traditional industry. The thing that Netflix had that nobody else in the industry had was they didn’t just know that there were a bunch of [fans of the House of Cards‘ lead actor, Kevin Spacey] in the abstract, they knew exactly who those Kevin Spacey fans were and they could use the platform to target them directly. So, Netflix went out and created nine separate trailers for House of Cards and targeted them directly to those users. So, I think part of the story is the power of detailed customer data to help you do a better job of marketing the content. 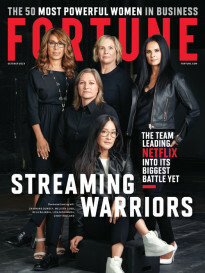 Has the thinking among traditional media giants—who have frequently downplayed the competition they face from services like Netflix—evolved at all in recent years? There are a lot of very smart, very capable people, who I respect, saying we’re in a content bubble [and] there’s way too much content being made right now for what’s economically feasible. And, what we’re trying to gently push back in the book is the economics of the large-scale bundled subscription model that Netflix is pursuing, [where what the] economic theory says is you can profitably make things in a bundle that wouldn’t be profitable if you sold them separately. I think it’s just as likely that what we’re seeing is the new economics of what’s possible in a Netflix-style bundle. This isn’t a bubble of content production; this is the new normal of what’s possible. 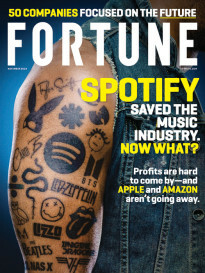 What’s the biggest reason streaming services have a leg up over traditional media companies? Netflix, Amazon, and Google all own their own data and they don’t share it with anybody in the entertainment industry. People have made a big deal about the idea of “binge-watching” as the embodiment of the changing way we consume media. But, what about the tailored content, based on users’ tracked habits? Which is more important? Both. It’s understanding at a detailed level how individual consumers are accessing the content, and then using the platform to help them discover and find exactly the right content that’s going to meet their tastes. What the academic literature says is that consumers get an incredible amount of value from being able to find exactly the kind of content that meets their unique tastes—and that consumers’ tastes are incredibly varied, more so than what you can find with traditional broadcast channels. So, what’s the future of entertainment? What will the industry look like in a decade? We try not to prognosticate too much in the book. What I do think is true is, because of the nature of the data and consumer behavior, a lot of these channels become winner-take-all or winner-take-most-all kind of markets. I think we’re going to have a small number of very powerful players. Now, we’ve always had a small number of very powerful players—what we’re saying in the book is there’s a very high likelihood that it could be a different set of players if the traditional industry folks don’t move quickly. Could there be consolidation among some of the big companies operating Hulu? It’s possible. I honestly think that’s their best strategy, to come up with a separate platform. The separate platforms are certainly a good start. The problem is I have no idea what it CBS content versus ABC content, and even less so for movies. Both for marketing reasons and pure economic reasons, it’s much better to go with a common platform that brings together content from a bunch of different players than to try to go with individual platforms for all the different players.